Hooray! We finally had our first coolish fall day yesterday! Of course, I pretty well spent it indoors doing fall cleaning chores but still. 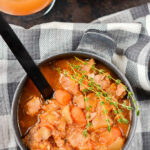 I’m excited that we can finally eat soups and stews and chili with abandon! Yes, this is the excitement in my life. And I’m totally okay with it. 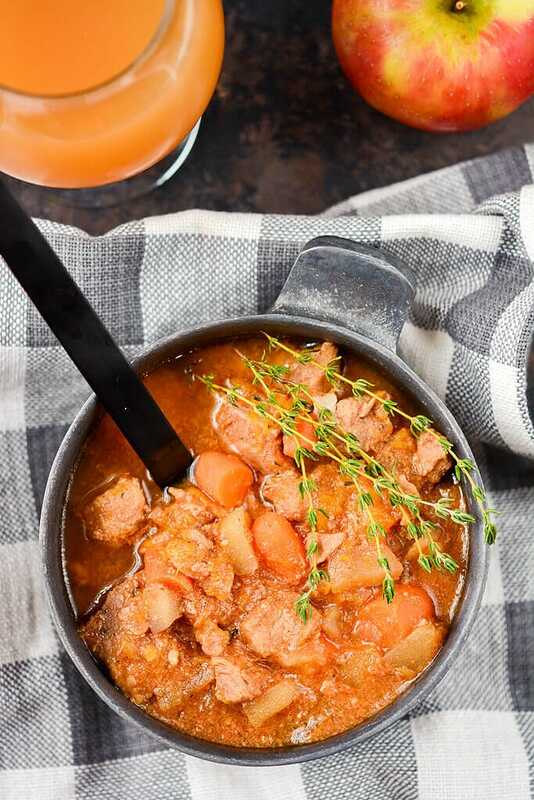 Especially when I get to have meals like this Slow Cooker Fall Harvest Pork Stew! 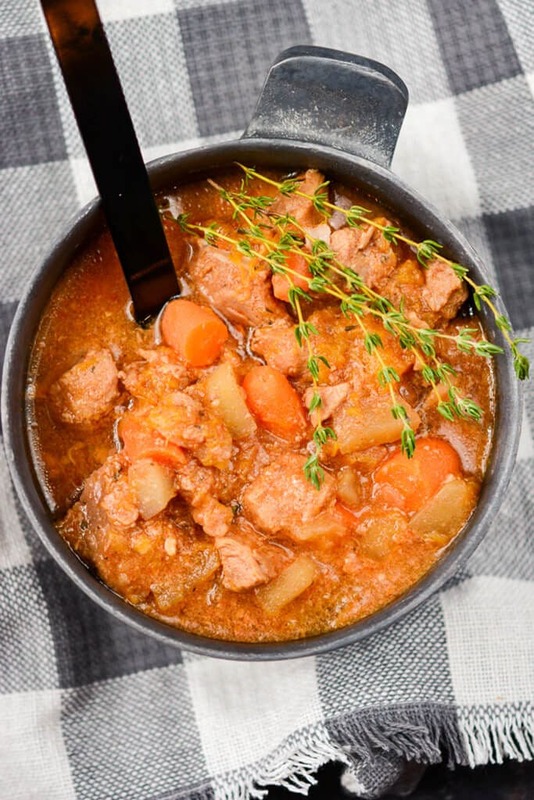 This stew truly contains all the flavors of fall and I encourage you to make it right away, whether or not your weather has turned colder. 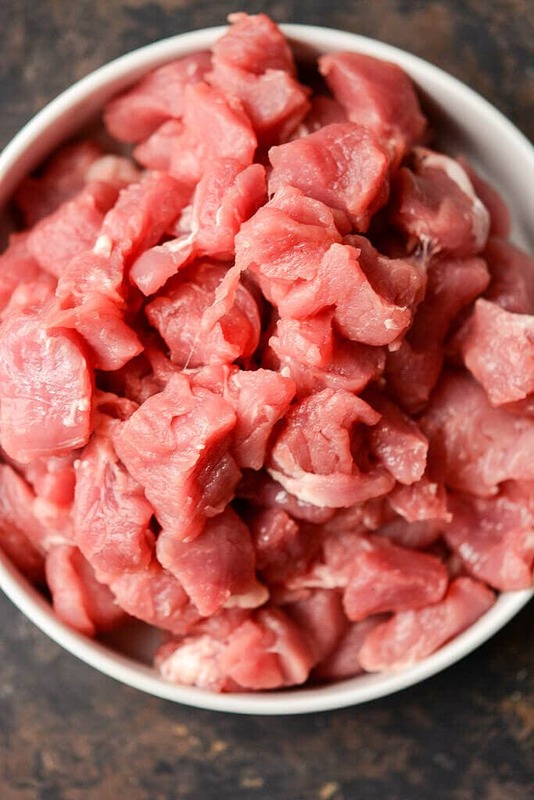 Start with some lean pork loin and cut into bite sized pieces. 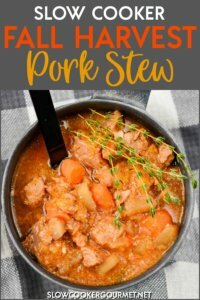 No need to brown.. keep it super simple and just toss in the slow cooker. Now it’s veggie time! 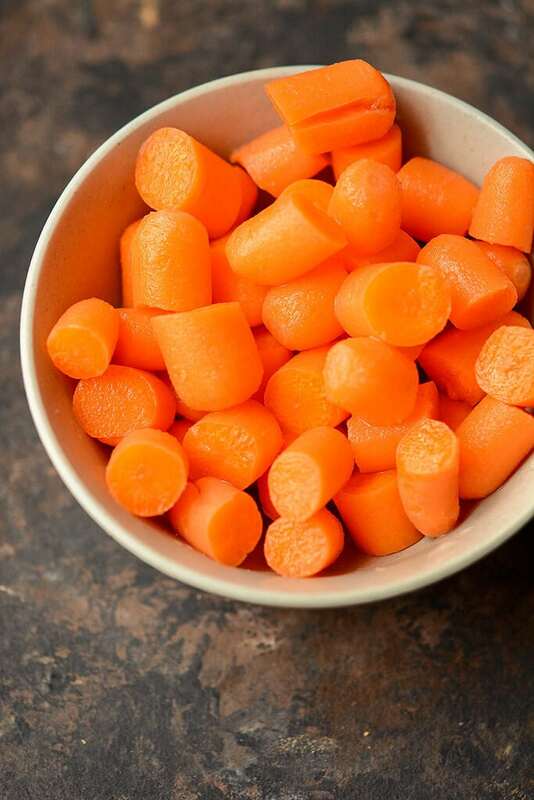 Plenty of sweet carrots to start it off. They will give it nice texture and a little earthy flavor. 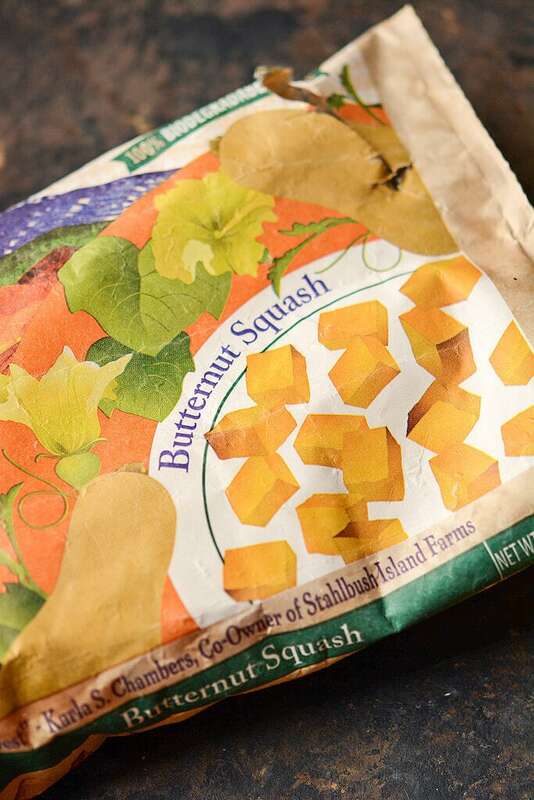 A little secret here, I used frozen cubed butternut squash. Feel free to use fresh, I just chose to be lazy. It’s one thing to chop up some carrots, but butternut squash can be a little work and I didn’t really have that much time. Now it’s time for apples. 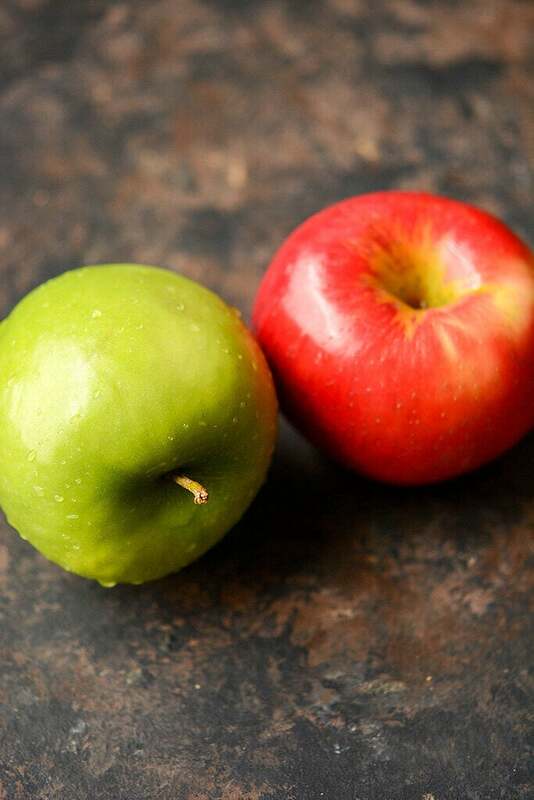 Not many foods say fall more than your favorite apples. For this recipe I decided to go with one sweet and one tart. I think the tart is critical here, because there are so many other sweet flavors going on that need just a little offset. 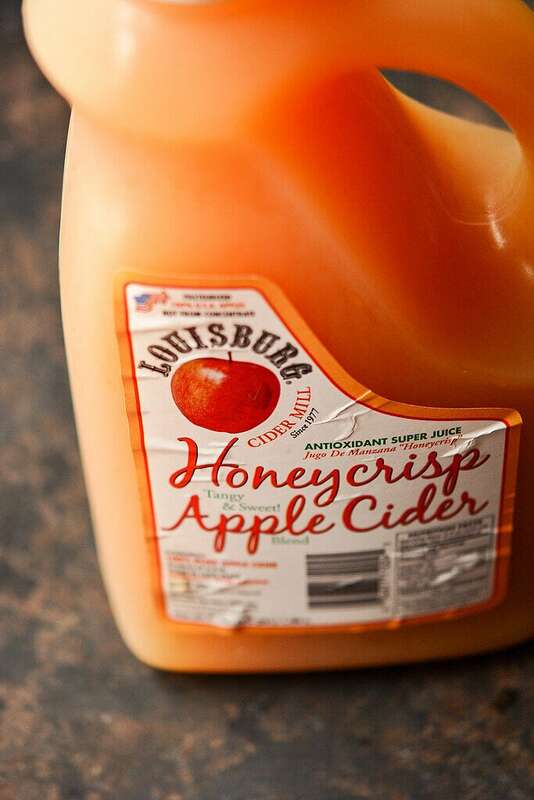 Finally, your favorite fresh apple cider (a little for the stew and a nice refreshing glass to enjoy!) along with some herbs and seasonings and let it slow cook all day for your perfect crisp fall evening dinner! A couple of questions–do you add the flour/water mixture at the end? Are the apples peeled and diced?